14k Gold-Filled Chandelier Earring with 3 attaching rings at the bottom, and one in the center at the top inside the diamond. Measures approximately 33mm x 17mm. 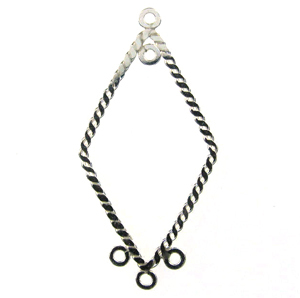 The twisted wires on this component are flattened, unlike the others that are rounded twisted wires. Price is for one pair (2 earrings).